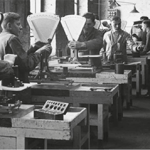 In 1945, Carlo Ernesto Valente opened a coffee machine factory in Milan, Italy. He named it “Fabbrica Apparecchiature Elettro Meccaniche e Affini”, thus FAEMA was born! For all you English-speaking coffee drinkers out there, the acronym stands for “Factory Electro Mechanical and Associated Equipment”. He specializes in espresso machines. The War was over and there was a production boom on the horizon and Carlo wanted to capitalize on it. He had the vision and technology skills to offer a new product to the world. In the 1950’s, FAEMA was into horizontal boilers and lever piston machines because that’s where the demand was. They were all the rage. In 1961, FAEMA introduced the revolutionary E61, an espresso machine with great innovations in design still used in the industry today. For example, pressurized water through a mechanical pump at 9 bar; no piston-lever designs of the 1950s; running cold water through the pump, flash heating the water with the help of a heat exchanger and viola … espresso!!!! Here is a quick video showing a 1959 FAEMA President in action. You can see just from this clip what kind of espresso machines Faema was producing, even 50-odd years ago! As time has passed, the FAEMA company kept the innovations coming. They also introduced a new grouphead that was kept warm by circulating water from the boiler through the grouphead in a thermosyphon circuit. Wow! The grouphead is activated by a lever, which when partially opened, allows the release of pressure, created from the municipal water line. The coffee is soaked with brew-temperature water. The extraction is as smooth as silk. When the lever is fully raised, the pump is activated and the coffee is extracted at full pressure. These innovations moved FAEMA as a leader, into the espresso market. A generic replica of the E61 with a group head and heat exchanger allowed this espresso invention to move right into home kitchens. Another big market place success for FAEMA! 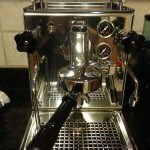 Word about this very attractive espresso machine has spread throughout North America, Europe, and Australia. It is not just about the group head coupled with the heat exchanger (hx) in the machine that makes it so popular. If you’re wondering “What is an hx espresso machine?“, that is a fair question which we explore elsewhere – but what you need to know is that it is an innovation which can drastically improve the quality of your espresso. FAEMA also took giant risks to advertise their creative innovative products. They made a very smart move by providing sponsorships to the “Tour de France” cycle world. The FAEMA brand can be seen on the shirts of champions! The Faematronic came on the market in 1983. 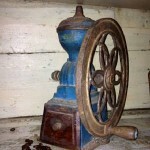 It was the first traditional electronic espresso machine with dosage controls. The E91 steps on the world coffee stage in all its elegance. It introduces an automatic diagnostic system. It is still today a great commercial success. The new X3 is launched in 2000. This new super automatic coffee maker guarantees durability and hygiene which every customer loves to hear. It has a smart boiler that optimizes the hot water and steam performance. The Emblema is born out of a collaboration with Italian design innovators Giugiaro. It is designed by professionals for the serious coffee culture. The coffee menus are richer and more personal for the customer. FAEMA’s products were always in a class of their own. Few could compete with their quality and style. But today, they have taken that idea one giant leap into the future by offering all coffee drinkers to step into the world of the “barman”. It will allow you to set your passion for coffee in motion and become a coffee artists at the same time. Visit the FAEMA Official Website for more product details and updates for 2017!